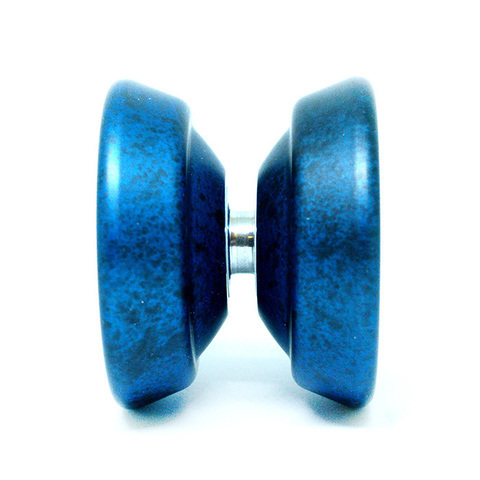 Yuuki Spencer, 2002 and 2007 1A World Champion has released his own original Fundametal yo-yo, the Yuuksta. Although there was a Yuuki edition 888 released, this is his first original signature model, and the seventh release in the Fundametal series. Yuuki is pretty much unmatched in the game of complicated string tricks, and he boasts strong combination of confidence and ability that has won him countless fans, and numerous accolades (including two world championships). The legend continues. Yuuki took his favorite everyday yo-yo, the Genesis, and shrunk it down to an undersized body for more agility than the Genesis. This is a great model for those who like undersized yo-yos, but even more so, it has great power and stability, making it an ideal for those who are considering getting their first undersized yo-yo. 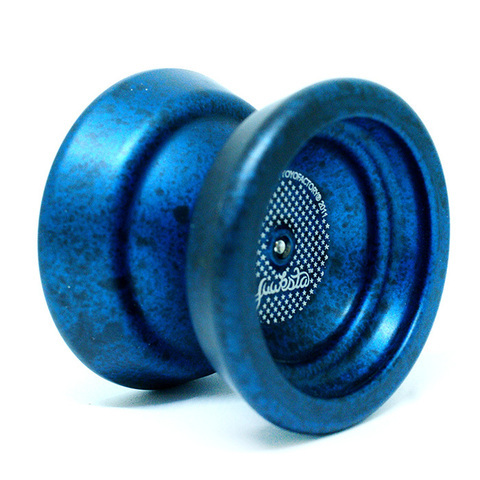 Comes outfitted with a Center Trac bearing, and all models are acid washed for that unique marbled effect. This version of Yuuksta comes with a Small bearing too for smoother play. This is an unresponsive yo-yo, a Bind is required to return the yo-yo to the hand.